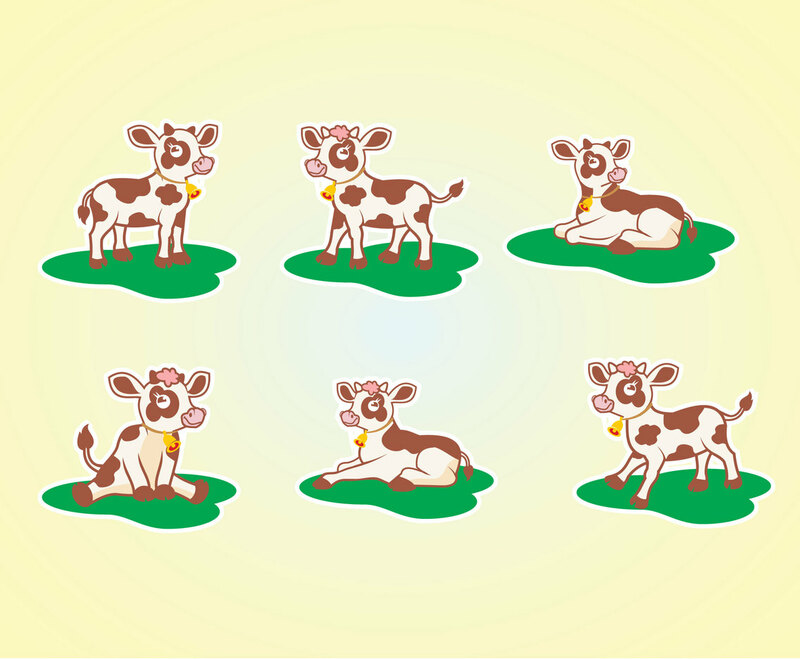 A set of calf in cartoon style illustration. They are cute cartoon and have several variations to choose. Each calf is on green grass spot. Easy to edit as the illustration format type is vector file. Must be great as design element in farm illustration either for print or web.